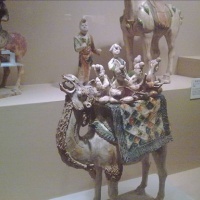 Who is the first legendary ancestor of the Chinese? 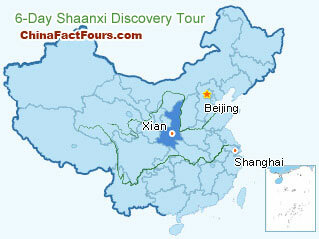 Where is the second largest and the most breathtaking waterfall in China? What is the eighth world wonder? Where is the world's biggest stele forest? Where to taste the most famous and delicious Jiaozi in China? 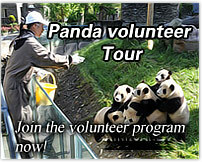 Trip with our knowledgeble guide,you will see the real facts. This morning, your local guide and driver will meet you at the airport and pick you up to the hotel to check in. 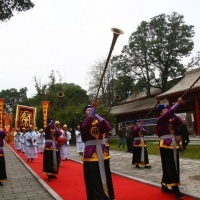 After lunch, pay a visit to the Drum Tower and the Bell Tower. The rest of the day is on your own arrangement to have a rest or walk of out the hotel to explore this historical city freely. 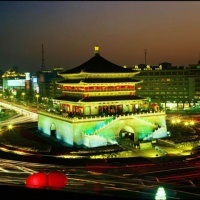 In the morning, you will be accompanied to visit the Big Wild Goose Pagoda and the Shaanxi Provincial History Museum. 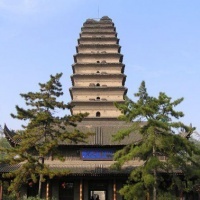 After lunch, proceed to visit the Small Wild Goose Pagoda, the Southern City Gate and the Stele Forest. After breakfast, you will be picked up to visit the Yellow Emperor's Mausoleum and then transfer to the Hukou Waterfall (some 400km from Xian). Stay overnight at a local hotel. 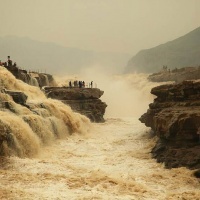 After breakfast, we will go to watch the breathtaking Hukou Waterfall where we will take some pictures and then visit a local village to known something about the Shaanxi peasants' life. After that, drive back to Xian. 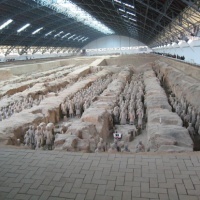 Today, we will drive to see the Eighth World Wonder—the Terracotta Warriors and Horses and the romantic Huaqing Pool. In the afternoon, proceed to visit the Neolithic Village—Banpo Museum. After that, you will enjoy a delicious dumpling dinner with the wonderful Tang Dynasty Music and Dance Show at the Shaanxi Grand Opera House. After breakfast, you will be escorted to the airport for the flight to your next destination.